The Kia Stinger hit the market in the 2018, a luxury car that serves as Kia’s answer to the BMW 3 series or the Mercedes-Benz C-Class. In 2019, a very special tribute to this fusion of German engineering, Korean design, and and American manufacturing is hitting the market. 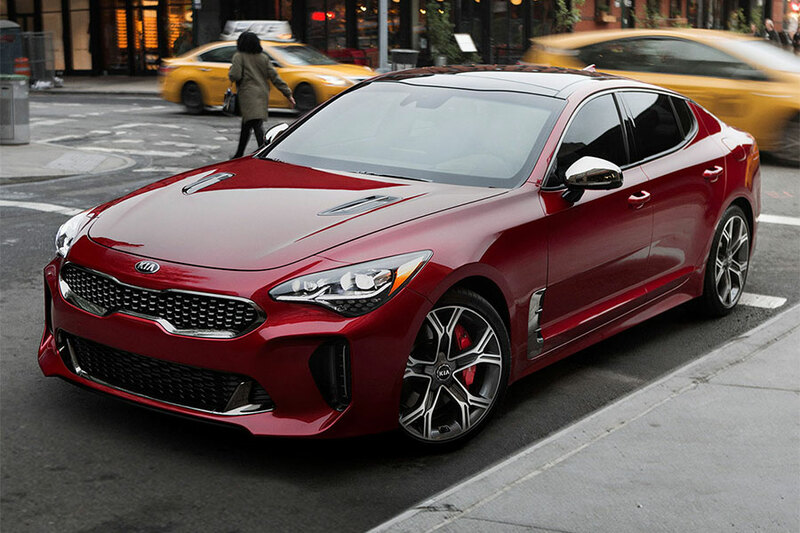 The Kia Stinger carries over virtually unchanged from 2018 to the 2019 model. Except, and this is a big except, the limited-production version. That’s right, the limited-edition Stinger GT Atlantica is going to hit dealerships in 2019. As Kia puts it, the GT Atlantica “celebrates the cross-Atlantic collaboration between the US and the vehicle’s Germany-based development roots.” But if you want one, get in line quickly. Only 500 will be sold worldwide. As you may have guessed, the Stinger GT Atlantica slots right above the Stinger GT2. It comes glistening in Deep Chroma Blue metallic paint and slate gray 19-inch alloy wheels. It’ll sport unique fender badging with the Atlantica name. Those lucky 500 will get Espresso Brown Nappa leather inside, along with a black faux-suede headliner. We don’t know anything about features, except that we’ll be getting a 360-degree surround-view camera, heated rear seats, and wireless phone charger. We’re hoping some of those coveted features trickle down into the lower trims. If you want to be one of the few to own a GT Atlantica, be prepared to spend upward of $55,000 for it. If that’s too rich for your blood, read on. The Kia Stinger is still practically brand new, so any Stinger is bound to put a smile on your face. This Kia comes in five other trim levels, everything from the base model all the way to the GT2, which was the top-trim level in 2018. The base Stinger starts at $31,900. For that price, you get a turbocharged 2.0-liter four-cylinder engine along with rear-wheel drive. Though it’s a base model, don’t forget it’s a luxury car. Inside you’ll find leather upholstery, heated front seats, and leather-wrapped steering wheel with heat. Tech standard features include Kia’s UVO infotainment, 7-inch touch screen, Apple CarPlay, Android Auto, Bluetooth, USB ports, satellite radio, dual-zone climate control, push-button start, proximity key entry, power-folding heated side mirrors, front and rear parking sensors, and rearview camera. This Kia Stinger trim may not be top-of-the-line, but it certainly feels like it.